Are you struggling to sing in a foreign language? The Language of Song are graded songbooks that provide classic song repertoire, carefully selected by examiners and professional singers Heidi Pegler and Nicola-Jane Kemp to develop the vital skills required to sing in a foreign language. 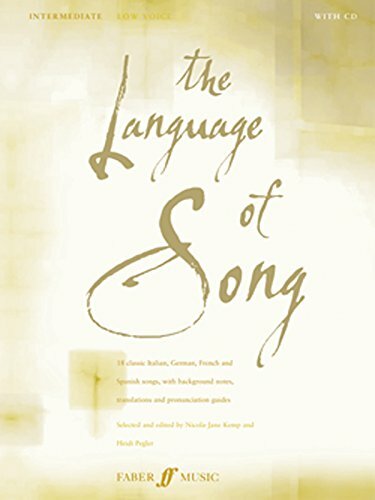 Each song gives both a literal and poetic translation of each text, a detailed pronunciation guide and background information on the songs as well as technical and musical teaching points. The accompanying CD provides the text for each song spoken by a native speaker -- expert language consultants who specialize in coaching singers -- as well as a recording of each song accompaniment. If you have any questions about this product by Faber Music, contact us by completing and submitting the form below. If you are looking for a specif part number, please include it with your message.